View More In Bathing Accessories. Touch Me () is a registered trademark and protected by copyright and trademark laws under U.S. and international law. All rights reserved. (1) The long handle back brush is specially designed to clean those hard-to-reach spots on your body. The detachable head can come off to scrub your arms, legs and body. 100% Natural boar's hair bristles will deeply exfoliate away roughness and dirt by revealing newer skin cells. To use, wet brush and apply liquid cleansing gel, then gently brush your body. Rinse and hang to dry after each use to prolong the brush life. (2) The beautiful Contour brush is specially designed for easy grip. 100% Natural boar's hair bristles will deeply exfoliate away roughness and dirt by revealing newer skin cells an. To use, wet brush and apply liquid cleansing gel, then gently brush your body. 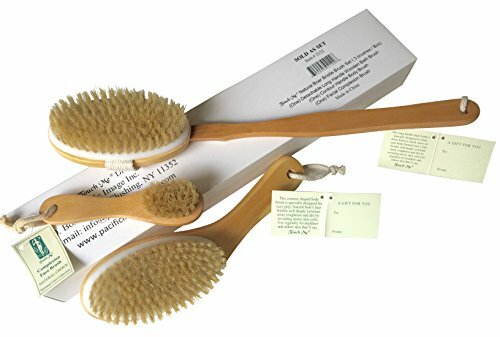 Rinse and hang to dry after each use (3) The facial brush unclogs pores allowing skin to release trapped toxins and prevents skin aging & acne. If you have any questions about this product by Touch Me, contact us by completing and submitting the form below. If you are looking for a specif part number, please include it with your message.